A series of live performances and conversations, primarily featuring Northwest Minnesota musicians. Supported by the Minnesota Arts and Cultural Heritage Fund. On September 4th, 2014, Pioneer 90.1 welcomed Pushing Chain, one of the most talented music duos to come out of Cook County in Northern Minnesota, to play an outdoor show at Floyd B Olson Park in Thief River Falls, MN. Pushing Chain was formed in 2012 by well seasoned Northern Minnesota music artists Boyd “Bump” Blomberg and Adam Moe. Before forming Pushing Chain, Boyd and Adam had performed together off and on with various musical outfilts since 1997. Pushing Chains live performances include tight harmonies with a gonzo like approach that keeps their performances fresh with a dash of unpredictability. In the summer of 2014, Pushing Chain released their first full length album, garnering critical reviews. Coming up this time around on MN Arts on the Road, we go back to the evening of August 1, 2014 for a very special outdoor performance featuring multi-talented Twin Cities-based vocalist Nicholas David, recorded live at RiverFest 2014 in Thief River Falls, Minnesota. After years of paying his dues on the Twin Cities music scene, Nicholas David had a major taste of mainstream exposure as a finalist on the NBC reality singing competition The Voice in late 2012. Viewers nationwide got a weekly taste of David’s retro soul vocals and laid back personality. Since the Voice, Nicholas David continues to make new music and performs many live dates nationwide. He has been appointed the Ambassador of Love for Smile Networks. 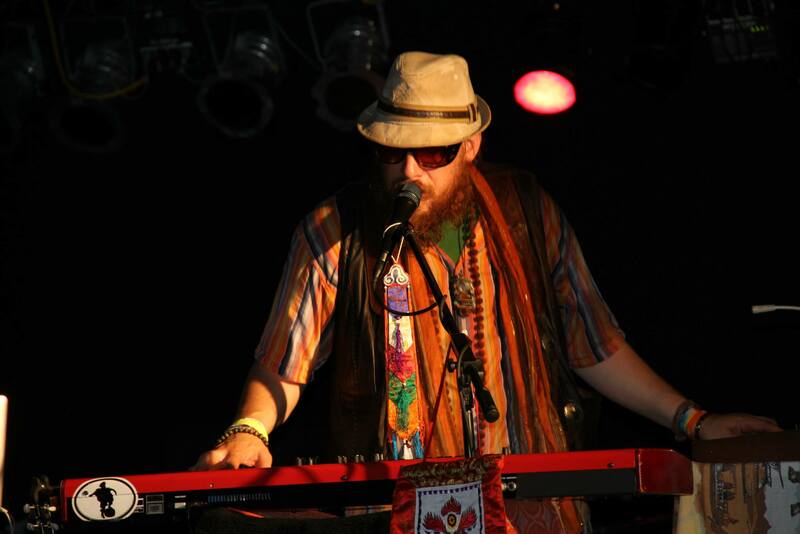 Let’s go back to RiverFest 2014 and sample the live music of Nicholas David. This time around on MN Arts on the Road,we present the husband and wife duo of the Blackburns. Art and Teresa Blackburn have been performing in various local, regional and national ensembles for many years. Together the Blackburns, they perform duets in a variety of styles. They are strongly influenced by the old brother duets of the Louvins, the Delmore Brothers, Bill & Charlie Monroe & others; early & classic country music of the Carter Family, Hank Williams, Hank Snow, &Johnny Cash; and more contemporary artists such as Norman Blake, Utah Phillips, & Gillian Welch, as well as the occasional original song. 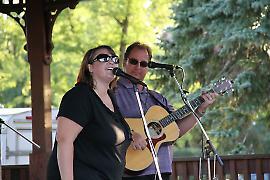 The show was recorded June 24 2013 outdoors at the Settlers Square in Warren, MN. When many musicians talk about their influences, they cite acts from a generation ago. Not too many list the music of old time tent revivals and minstrel shows. That’s what makes Matt Ray and Those Damn Horses unique. Their sound goes way back. 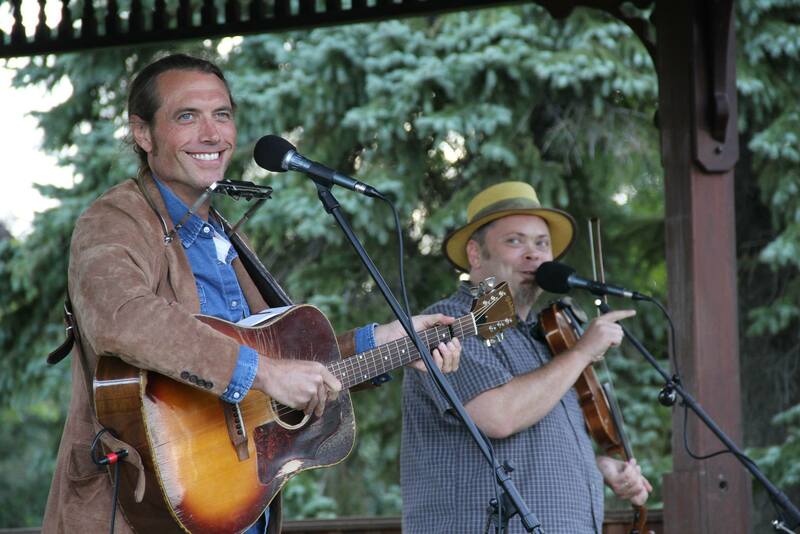 On this edition of Minnesota Arts on the Road, we’ll listen to a live concert from the Embarrass, MN-based group, and we’ll ask Matt what got him interested in old-time string music. Matt is a self-taught musician. He was surrounded by music growing up. Both Matt’s father and mother were active musicians, and Matt was often found sleeping in guitar cases or behind drum sets as a young child. The group has established a passionate, and rowdy, fan-base throughout the Northland. Minnesota Arts on the Road is a production of Pioneer 90.1, Thief River Falls, made possible by the Minnesota Arts and Cultural Heritage Fund. Recording engineer is Ben Kosharek. Producer is Mark Johnson. On this edition of Minnesota Arts on the Road, we catch up with The Cat Sank Trio performing in Summer 2012 at the Floyd B. Olson park in Thief River Falls, MN.